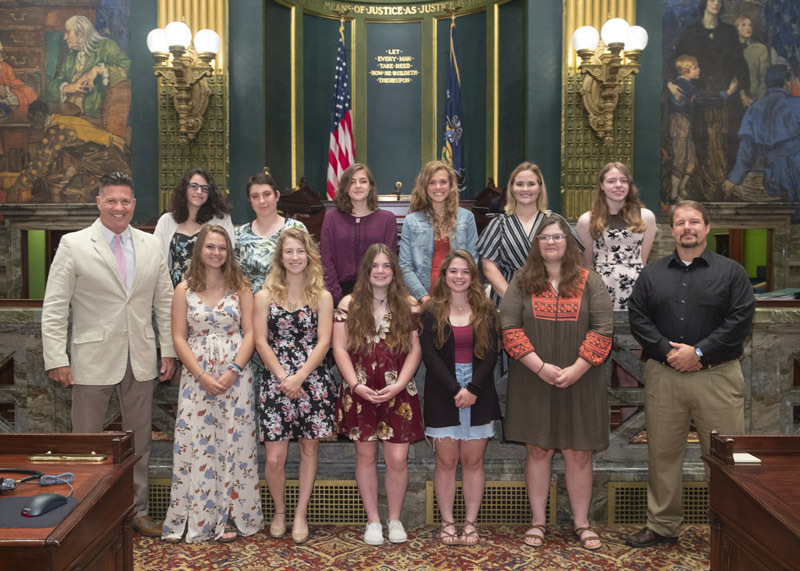 During Senate session on Wednesday, I had the pleasure of recognizing members and coaches of the West Shore United Girls’ Rugby Club, which brought home the 2018 Pennsylvania State Division 2 High School Club Girls’ Rugby Championship. The Senate approved an historic bill on Wednesday that would amend the Pennsylvania Constitution to change the way that Pennsylvania’s legislative and Congressional districts are established. Senate Bill 22 calls for the creation of an independent redistricting commission made up of 11 Pennsylvania citizens who would be responsible for drawing the boundaries of legislative and Congressional districts. Elected officials, candidates for public office, lobbyists, and legislative staff would be prohibited from serving on the commission. Similarly, the legislation also changes the way that appellate court judges are elected. In current practice, members of the state Supreme Court, Superior Court, and Commonwealth Court are elected via a statewide vote. Senate Bill 22 would divide the state into judicial districts to ensure a broader range of regional interests are represented on Pennsylvania’s highest courts. The Senate approved legislation on Wednesday aimed at promoting telemedicine in Pennsylvania as a way to overcome barriers to quality patient care created by distance and reducing the costs of those services. Senate Bill 780 specifically defines telemedicine as “the delivery of health care services provided through telecommunications technology to a patient by a healthcare practitioner who is at a different location.” It also establishes guidelines regarding who can provide telemedicine services and provides clarity regarding insurance company reimbursement for those services. Physicians and other health practitioners delivering telemedicine services would still be required to follow standard state licensure and medical practice laws and requirements in Pennsylvania. Senate Bill 1129 would require courts to set a hearing date no more than 30 days after birth parents file a petition for relinquishment of their parental rights to an adoption agency or an adult wishing to adopt the child. Current law requires the court to set a hearing date no less than 10 days after a relinquishment petition is filed but does not set a deadline for holding the hearing. A recap of activity by the Senate committees I serve on. Senate Resolution 384 directs the Legislative Budget and Finance Committee to identify and examine the statutes, best practices, and proposed measures of other states to provide assistance to dairy producers. Senate Bill 1169 amends the Medical Practice Act providing for genetic counselors. The Senate Finance Committee approved House Bill 939 on Wednesday. The bill provides for the forfeiture of a public pension when a public employee is found guilty of, or pleads guilty or no contest to, an offense classified as a felony or punishable by a term of imprisonment exceeding five years. The Senate returns to voting session on Monday, June 18th at 1 p.m. You can watch session live at senatormikereganpa.com. On Tuesday, June 19th the Senate Agriculture and Rural Affairs Committee will hold a hearing to discuss the state of the Pennsylvania dairy industry.